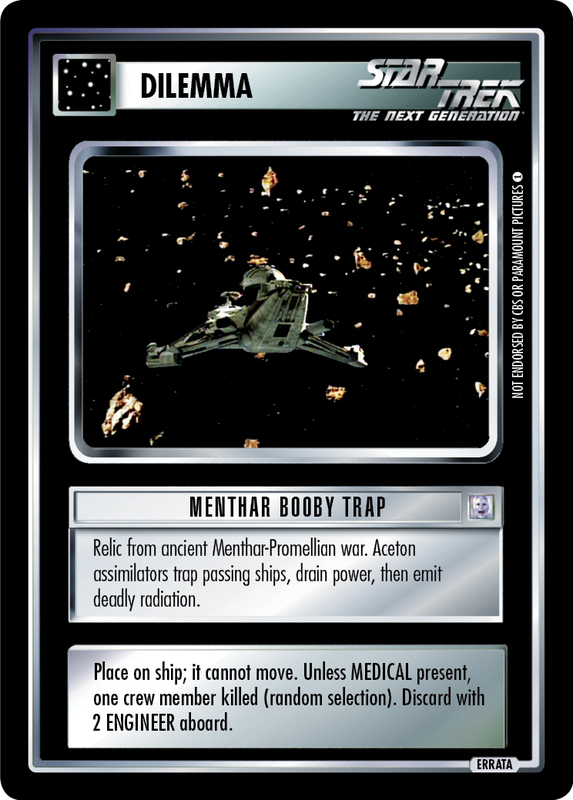 Relic from ancient Menthar-Promellian war. Aceton assimilators trap passing ships, drain power, then emit deadly radiation. Place on ship; it cannot move. Unless MEDICAL present, one crew member killed (random selection). Discard with 2 ENGINEER aboard.